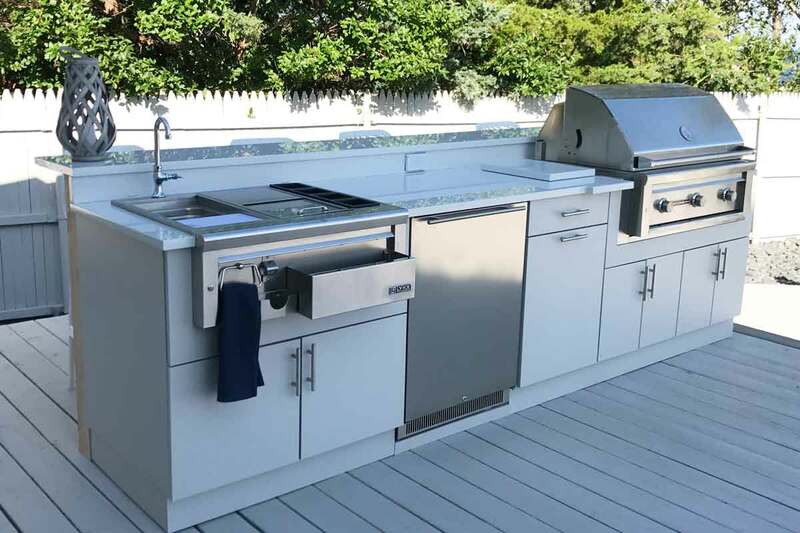 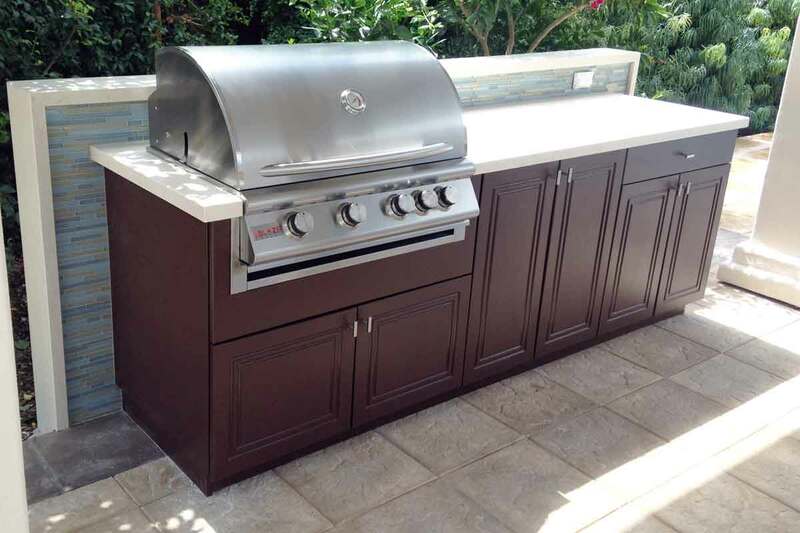 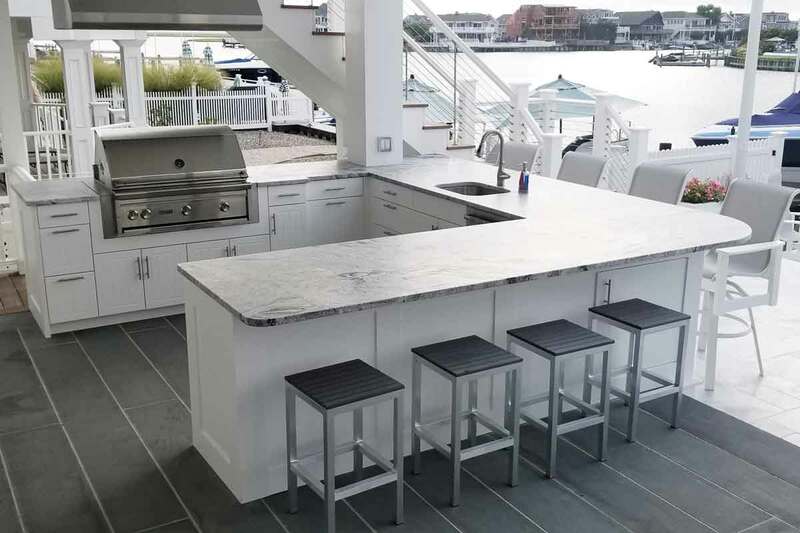 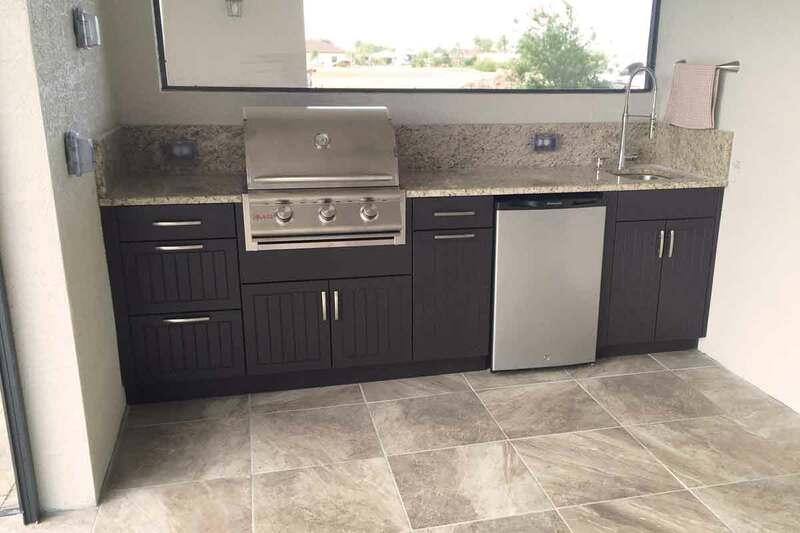 This complete outdoor kitchen on the New Jersey shore features a Lynx Professional Grilling Station on the left, balanced by a central sink and dishwasher, and opposite an undercounter refrigerator and ice maker. 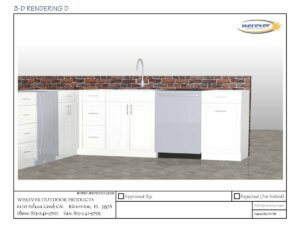 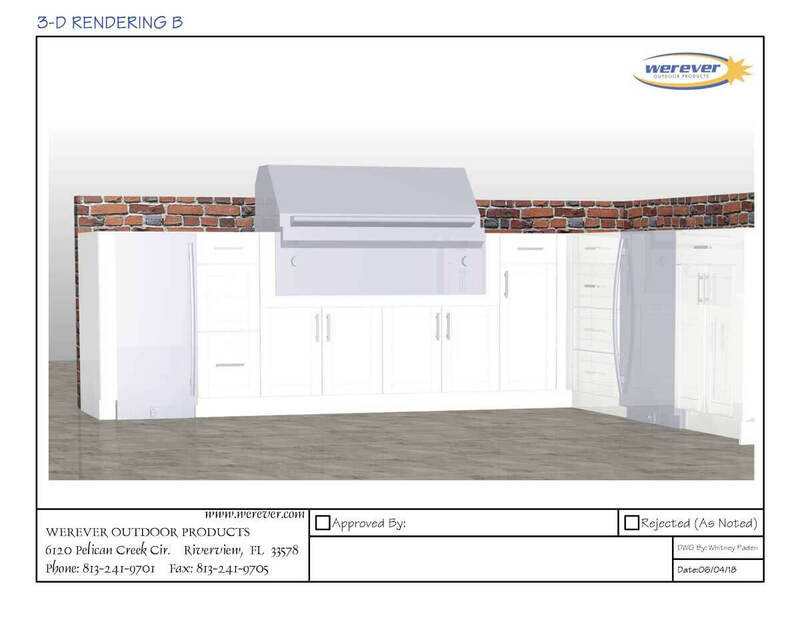 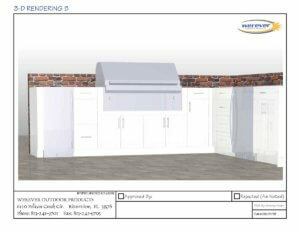 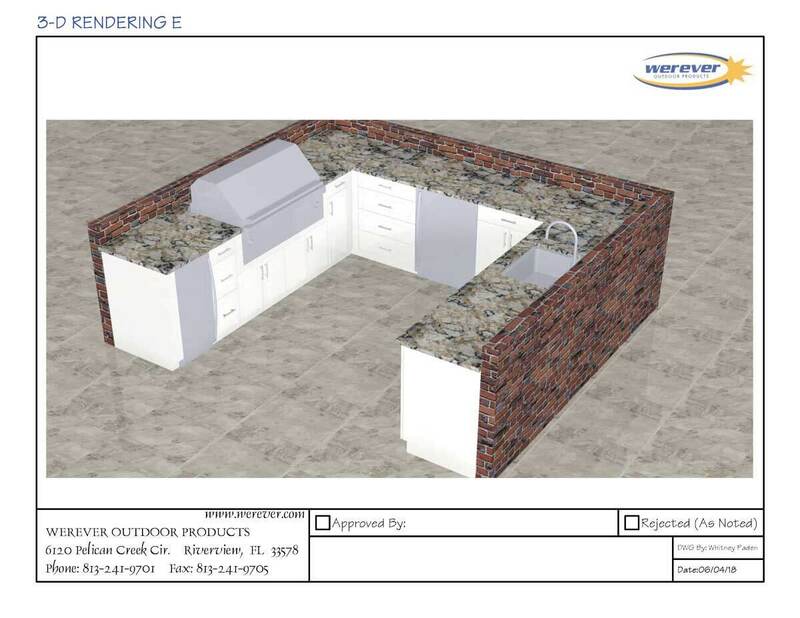 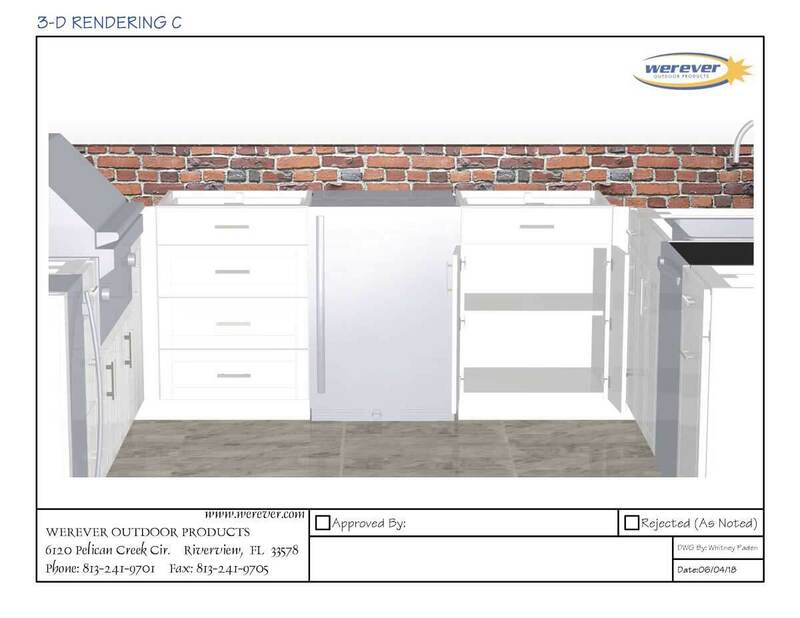 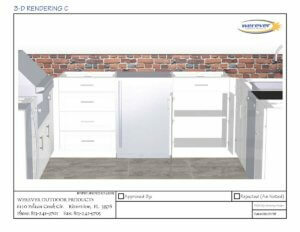 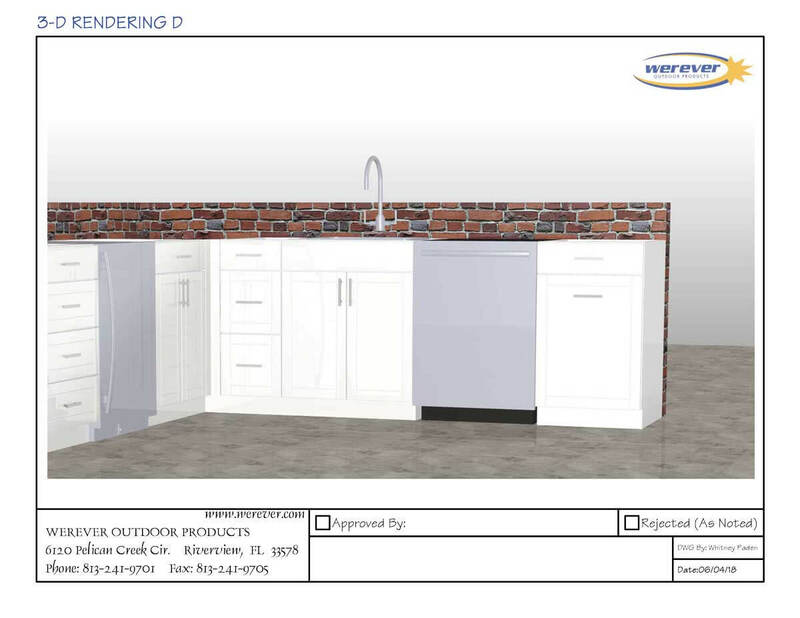 Werever Outdoor Cabinets in Bright White with our popular V-Groove door style, provide generous functionality with door and drawer storage for cooking and serving necessities, and the convenience of a double pull-out trash cabinet for concealed disposal of waste. 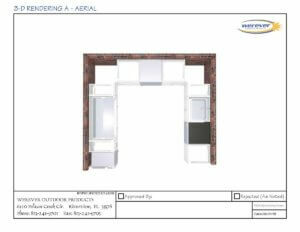 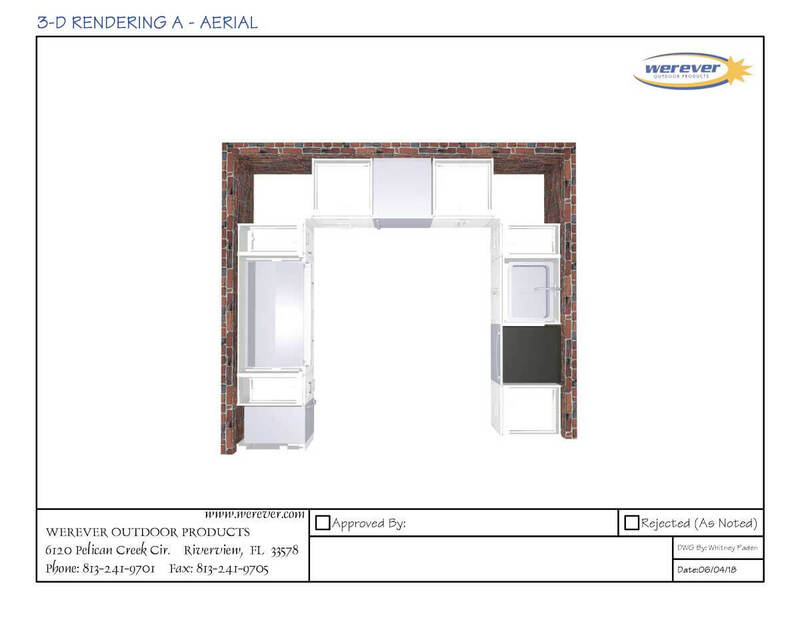 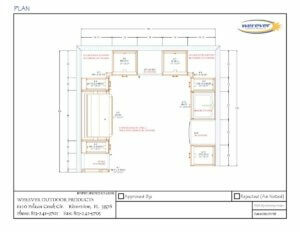 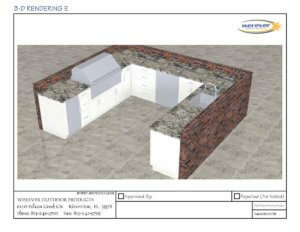 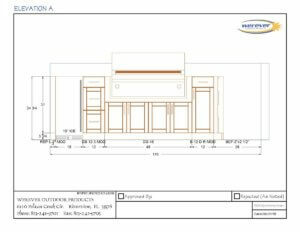 Two sides of the U-shaped plan allow for counter comfortably seating 8-10 guests. 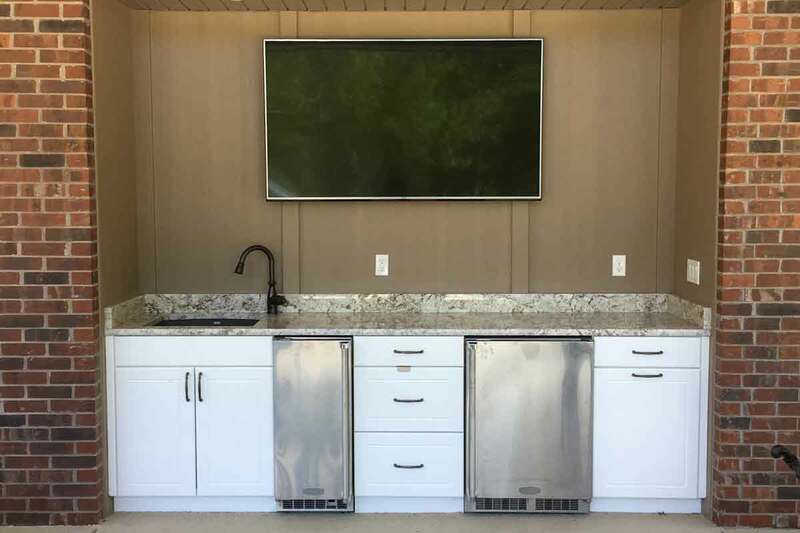 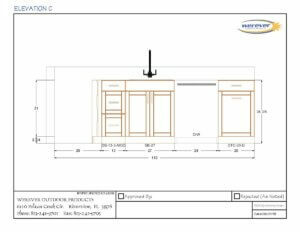 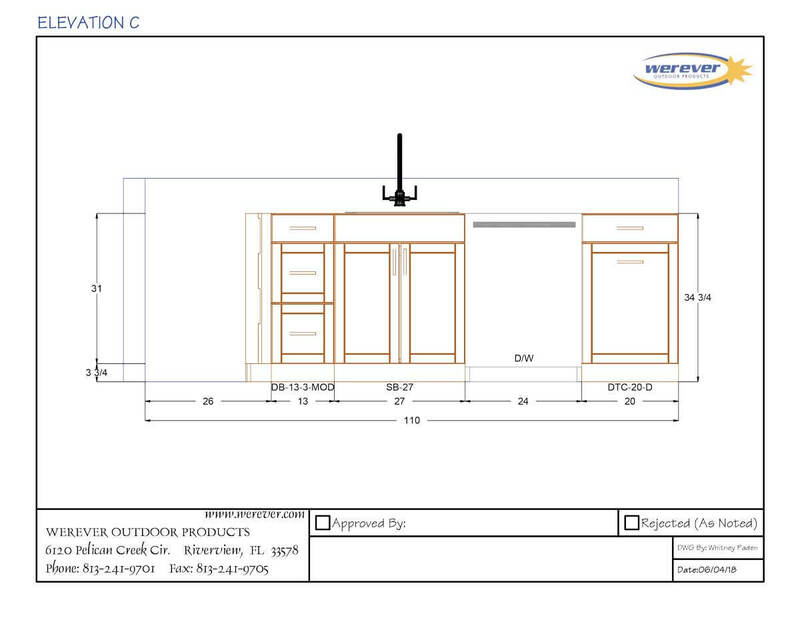 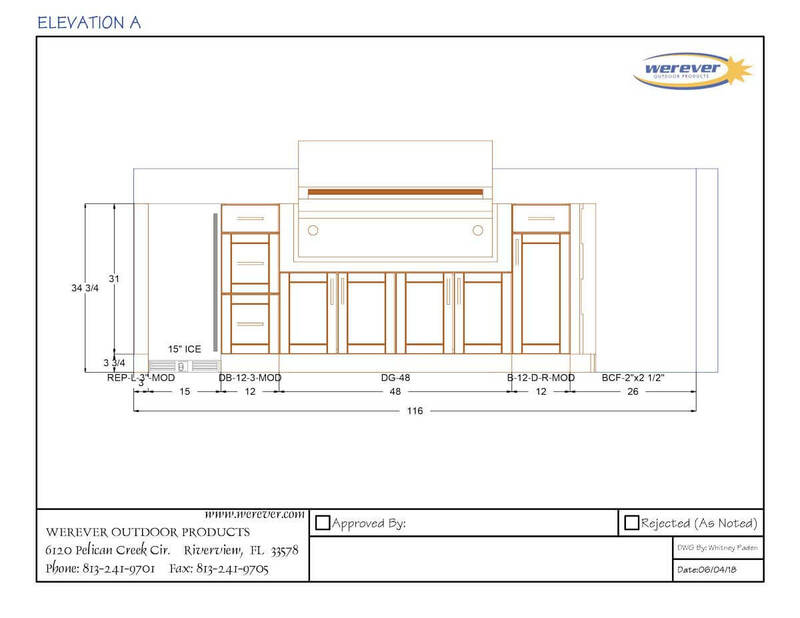 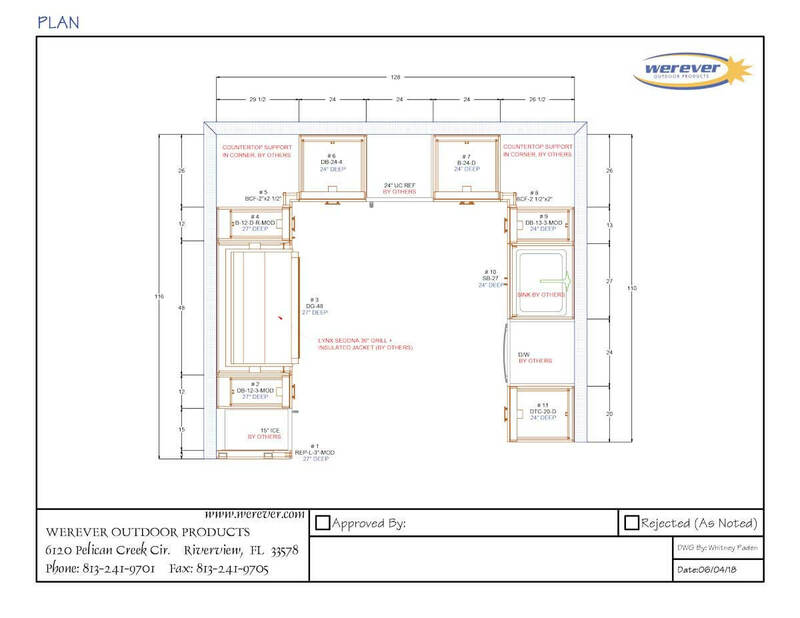 The client added their own framing and material details to the back of the cabinetry to blend with the aesthetics of their outdoor environment. 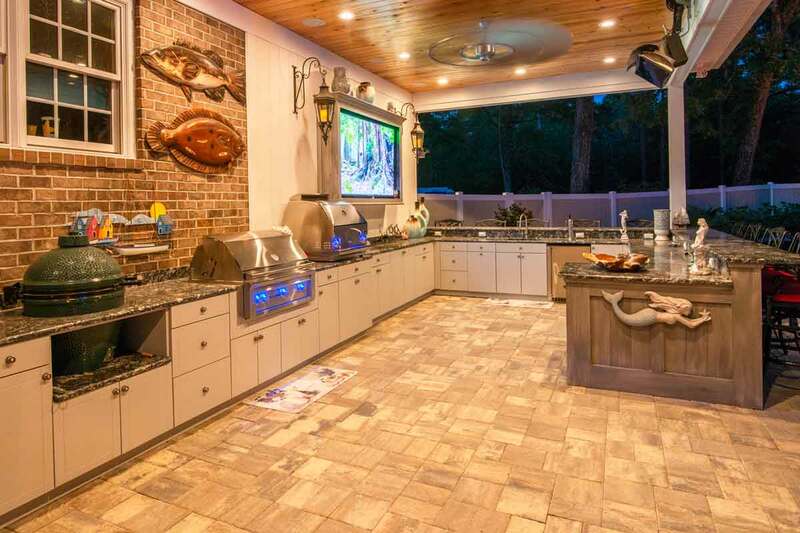 Every element of this outdoor kitchen combines for waterfront grilling and entertaining at its finest.